Wow! Just wow! What did I just read! I have read a few of this author’s work and have loved them, but this one just blew me away! Told from both point-of-views, we are thrown into a very unexpected and dark story that will grip you from beginning to end. When you read Psychopath’s Prey by V.F. Mason you will be taken on a wild and very unexpected ride. We see not only what is happening now but get glimpses of the past. 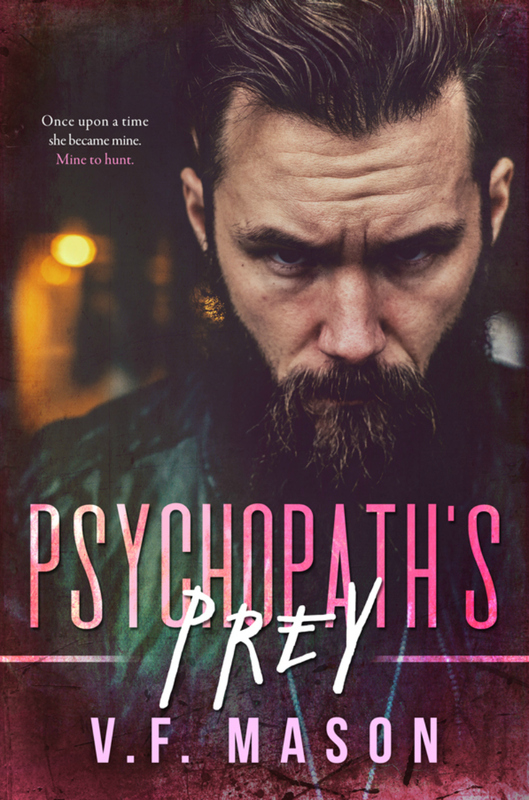 The psychopath is everything you would expect. He is a very disturbed person with a dark past and a strong determination. Ella Gadot was hurt when she was young. She decides she wants to stop things like what happened to her from happening to others. She works for the FBI now and finds herself the prey of a very dangerous man. There are so many unexpected twists and turns and one book you must go in with no spoilers, so you can just experience the story as it unfolds. I knew I wanted to read this from the first time I read the blurb. You just knew it would be a different kind of story. This is a dark romance with all kinds of angst, suspense, and very intense. You will be consumed with this story. It may not be for everyone, but if you love dark and disturbed, this is for you.